Virtual Voting - Alameda County, Calif. 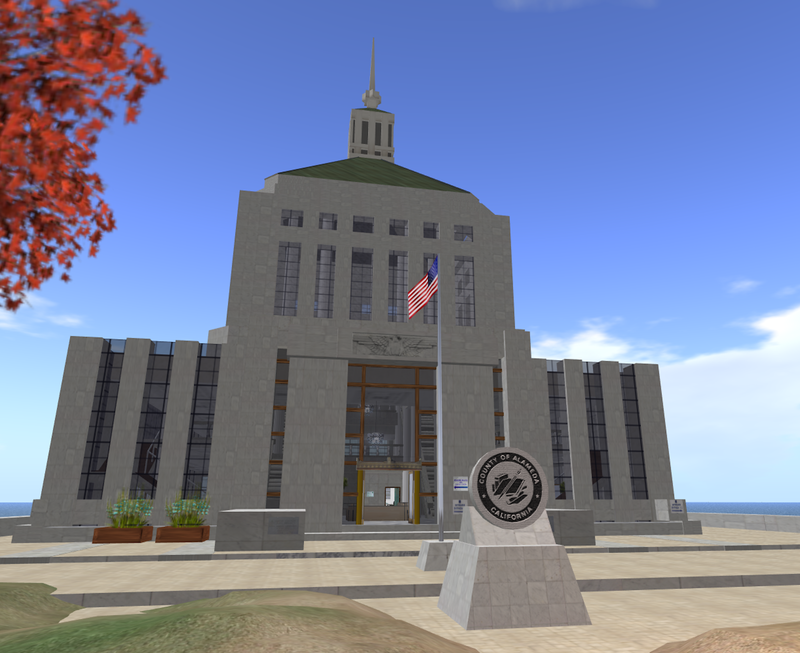 The Alameda County island in Second Life was created for the purpose of demonstrating voting procedures. The county’s virtual polling site, developed by Avatrian, opened in May 2009. Visitors arriving at the island are greeted with a digital representation of the Renee C. Davidson Courthouse located in Oakland, Calif. Signs are used throughout the build to direct users to the polling place. Much of the time, avatars can be found “working” in the polling site ready to guide people through the voting process. The build was also used to create a video explaining how the site works. The Path to Becoming Ubiquitous?